An adjective is a word that describes a noun. There are two kinds: attributive and predicative. The black cat climbed a tree. The man felt a paralyzing fear. Flavored oatmeal tastes better than plain oatmeal. 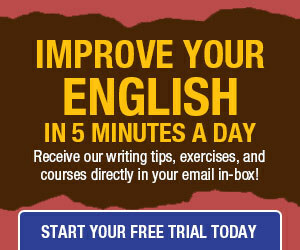 The usual place of the adjective in English is in front of the noun. You can have a whole string of adjectives if you like: The tall thin evil-looking cowboy roped the short, fat, inoffensive calf. The dog’s coat feels smooth. The verbs that can be completed by predicate adjectives are called being verbs or copulative verbs. They include all the forms of to be and sensing verbs like seem, feel, and taste. relative and interrogative: which, what, whatever, etc. numeral: one, two, second, single, etc. indefinite: some, any, much, few, every, etc. NOTE: the demonstrative adjectives the and a (an) are so important in English that they have a special name: articles. They are discussed separately (i.e. coming soon). This is a great article; concise and well written. Though I am suffering from writing phobia,I am confident I can be a successful olumnist,critic may be contravertial but always afraid of wrong spelling ,composition of senteces…..can anyone help me to boost my morales. 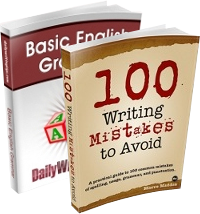 I would like to get successfull in learning English Grammer start from the Begging and the English article.